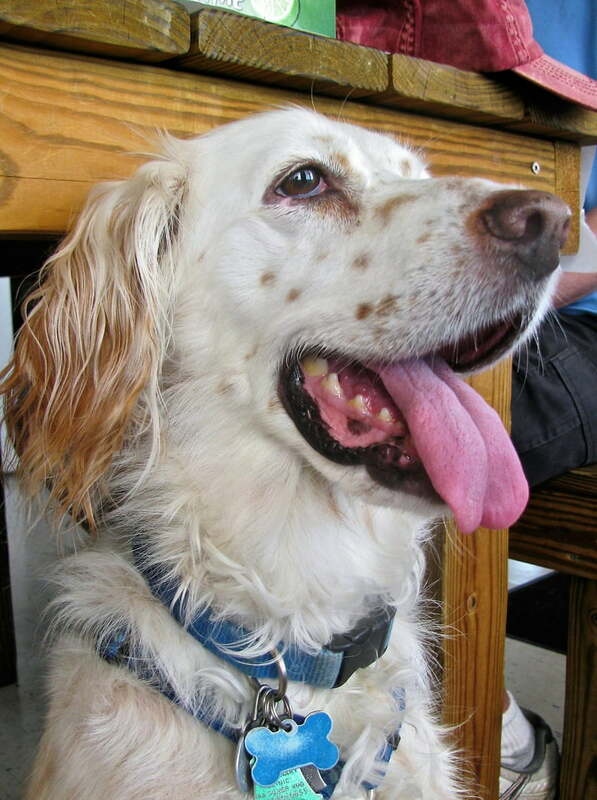 Read on to learn about local restaurants and cafés that welcome dogs with open paws. Image via Lucy Boyce Kennedy. Finding New Haven restaurants and cafés that permit dogs can be challenging. Generally, only service animals are allowed indoors. Pets must remain outside, and outdoor seating can be limited, especially over the winter. 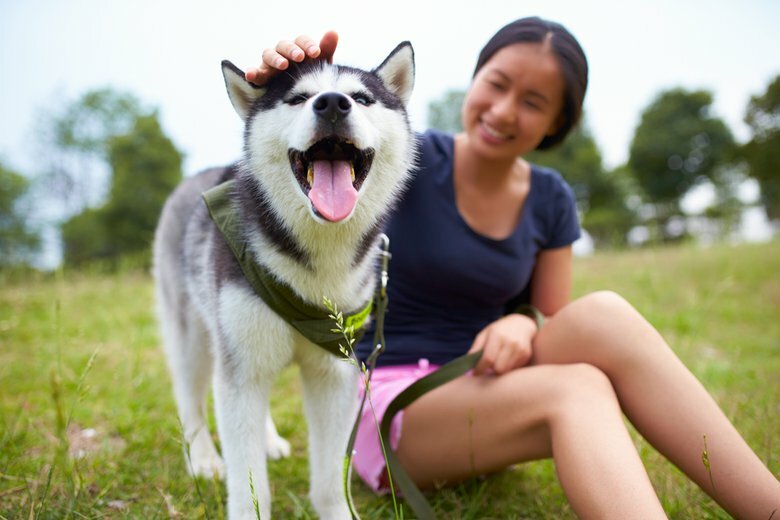 As a general rule, it’s easiest to find pet-friendly options during the warmer months of late spring, summer and early fall. Just look for places with outdoor patios, many of which allow dogs. Some places go above and beyond to welcome pets, from providing water bowls to including special dog treats on the menu. 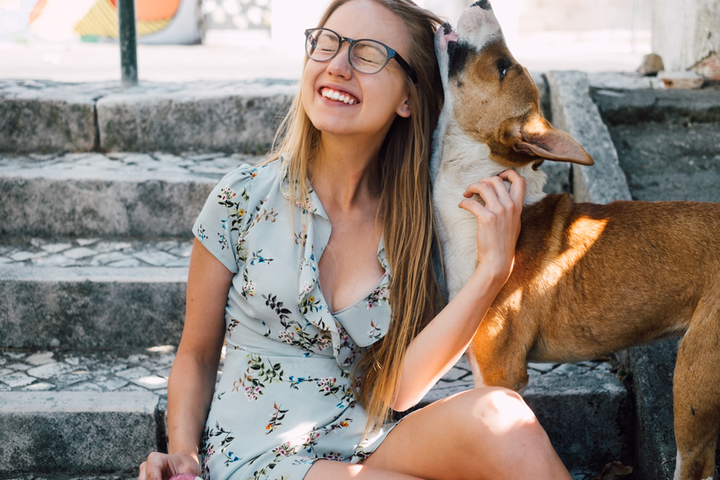 Below is a list of local restaurants and cafés where you or your pet sitter can enjoy a meal, coffee or ice cream cone without having to leave your dog at home. Hours: Monday - Saturday, 7 a.m. - 7 p.m. │Sunday, 7 a.m. - 4 p.m. 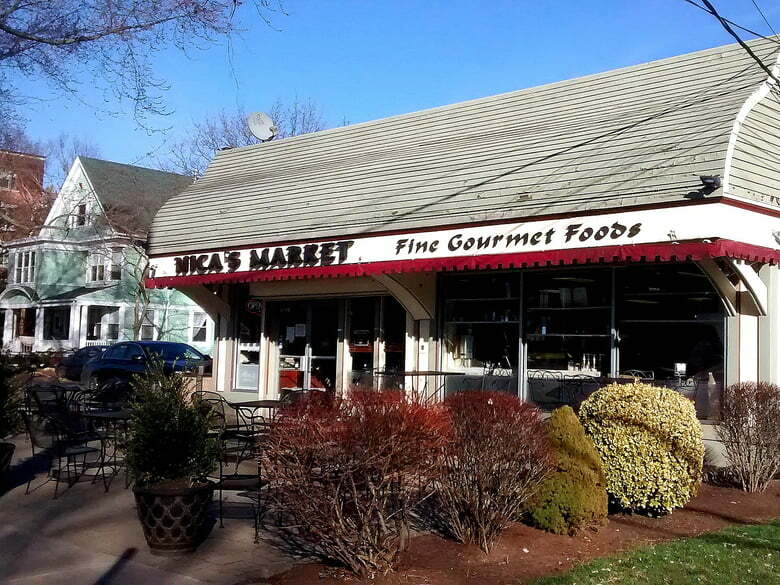 The aisles of this small Italian market, located in New Haven’s East Rock neighborhood, are stocked with fresh produce, pastries, meats and an extensive selection of cheeses. At the back, you’ll find a deli that serves delicious hot food, and at the front, you can order coffee, tea and gelato. On warm days, you can enjoy their outdoor patio -- the perfect place to meet friends for a quick brunch or to relax for an afternoon with your dog, a coffee and a good book. 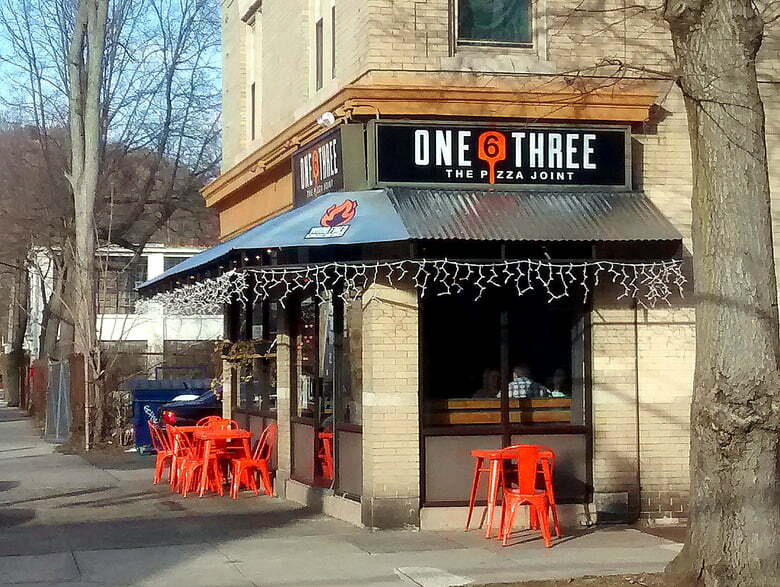 Hours: Monday - Friday, 11 a.m. - 10 p.m. | Saturday, noon - 10 p.m. │ Sunday, noon - 9 p.m.
New Haven is rightfully famous for its pizza, and this new BYOB pizza place in East Rock is a wonderful addition to the culinary scene. One 6 Three offers delicious pizza and fries, as well as a dog-friendly environment. Weather permitting, One 6 Three has outdoor seating, including a designated dog area with water bowls and a place to latch your leash. The space is quite small, so consider calling ahead if you’re going with a larger party. Hours: Sunday - Thursday, 11 a.m. - 10 p.m. │ Friday & Saturday, 11 a.m. - 11 p.m.
Conveniently located downtown, Shake Shack is the place to go for great burgers (beef, chicken, portobello mushroom) and creamy milkshakes. It’s also the go-to place for dog lovers because the menu includes special dog treats. Pick up a “Pooch-ini,” a dog biscuit covered in peanut butter sauce and vanilla custard, or a “Bag O’ Bones,” five dog biscuits from Bocce’s Bakery. 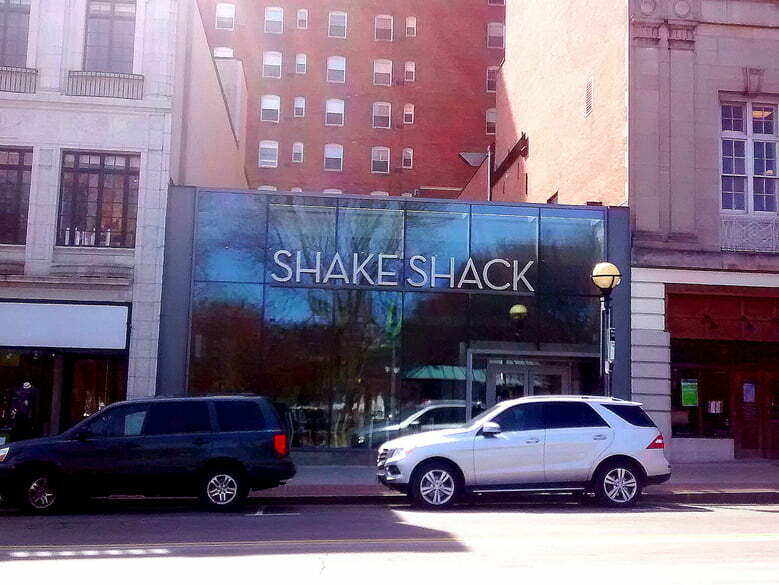 During the summer, the New Haven Shake Shack provides outdoor seating, where dogs are welcome. 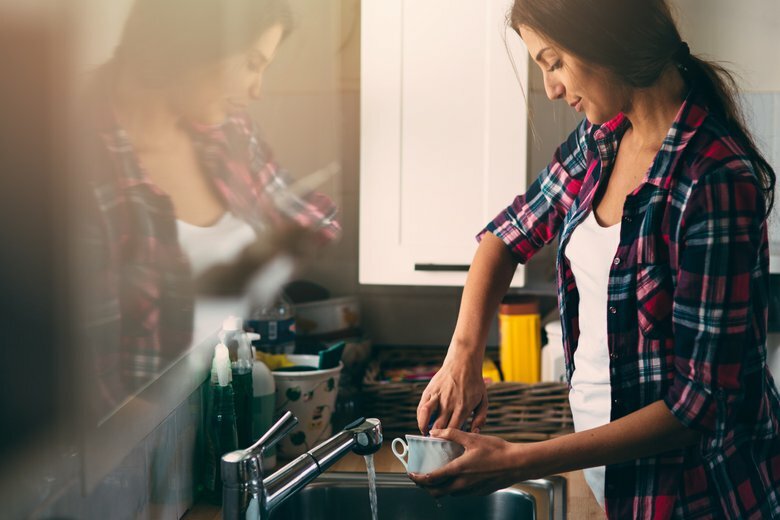 Hours: Monday - Friday, 7:30 a.m. - 6 p.m. │ Saturday, 8 a.m. - 5 p.m. │ Sunday, 9 a.m. - 5 p.m.
Cedarhurst is a nice place to go for breakfast or lunch, with a full range of coffees, smoothies and “light food” items like avocado toast and Belgian waffles. 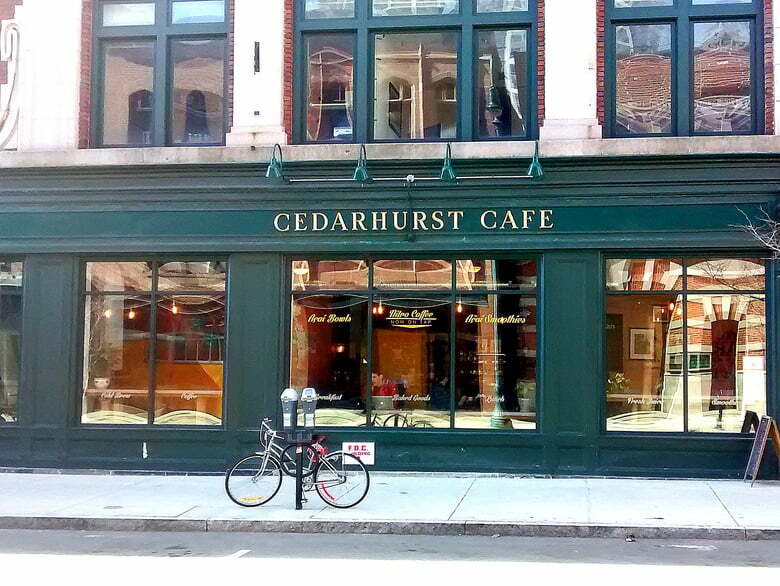 The café has a relaxed, laid-back atmosphere, which makes it a popular studying spot for local college students. When the weather is warm, the café offers outdoor seating where dogs are welcome, complete with water bowls for thirsty pups. 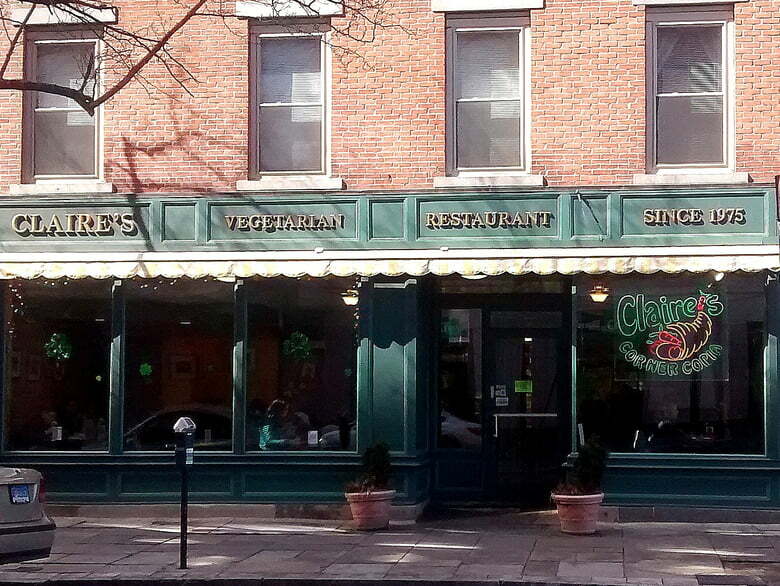 Hours: Monday - Friday, 8 a.m. - 9 p.m. │ Saturday & Sunday, 9 a.m. - 9 p.m.
Claire’s serves a variety of vegetarian and vegan dishes, along with coffee, tea, smoothies and baked goods. (I highly recommend the Lithuanian coffee cake!) 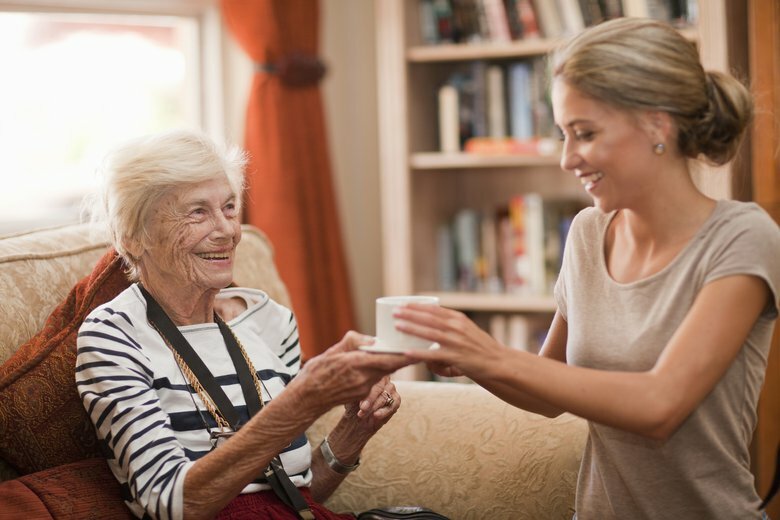 The location is convenient to downtown and Yale University’s campus. Claire’s has outdoor seating when weather permits, typically beginning in May. Dogs are welcome at outside tables, preferably on a leash, and water bowls are provided. 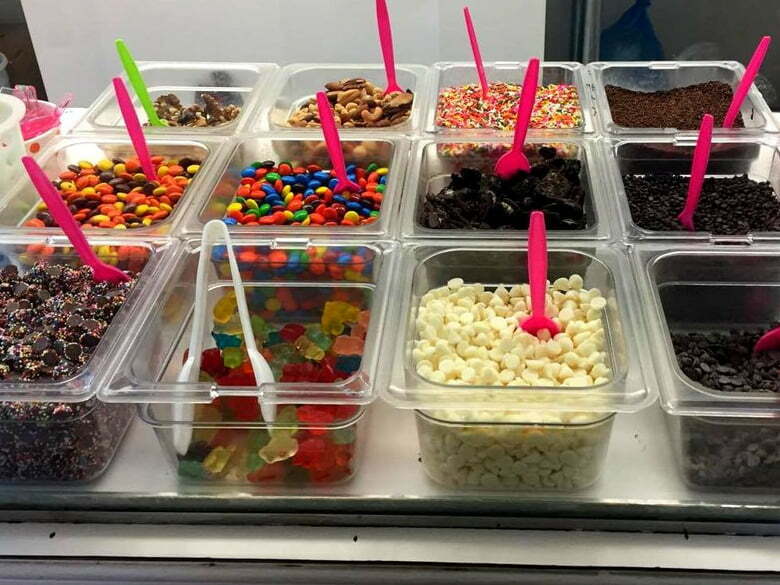 Hours: Monday - Thursday, 11 a.m. - 9:30 p.m. │ Friday & Saturday, 11 a.m. - 10 p.m.
Just outside of New Haven, in Hamden, Connecticut, Wentworth’s Homemade Ice Cream is open Monday through Saturday and serves a wide array of flavors, including Cookie Monster, Maple Walnut and Pistachio. The business is extremely family- and pet-friendly. Dogs can enjoy the special “K-9 Crunch” ice cream flavor made just for them. The property includes a large yard with a gazebo, picnic tables and swings, as well as an indoor play area for children. Sleeping Giant State Park is nearby, so why not combine your ice cream treat with a hike in the woods? Hours: Monday - Thursday, 11 a.m. - 1 a.m. │ Friday & Saturday, 11 a.m. - 2 a.m. | Sunday, 10 a.m. - 1 a.m.
Anna Liffey’s Irish pub permits well-behaved dogs on their outdoor patio, which remains open year-round. On weekday afternoons, it’s a good place to drink a beer or cider while you get some work done with your dog at your side. 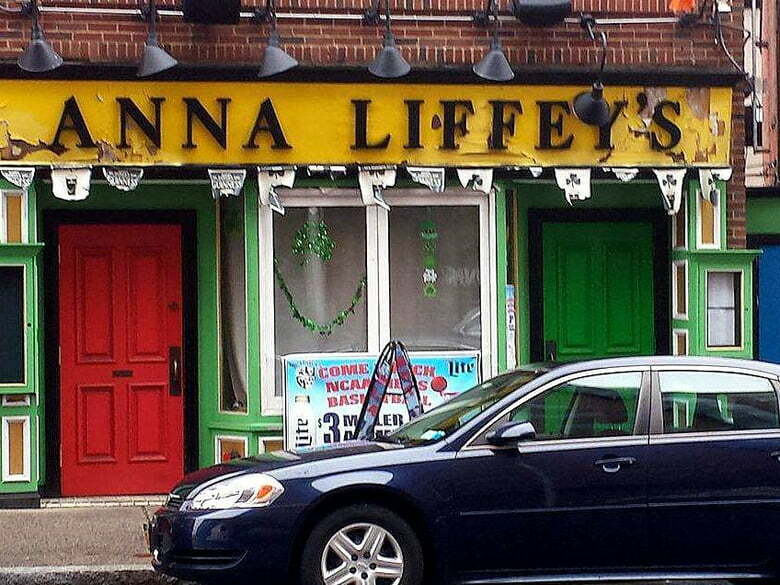 If you like trivia, Liffey’s hosts a trivia night every Tuesday that’s one of the best in New Haven, though service can be slow at popular times. 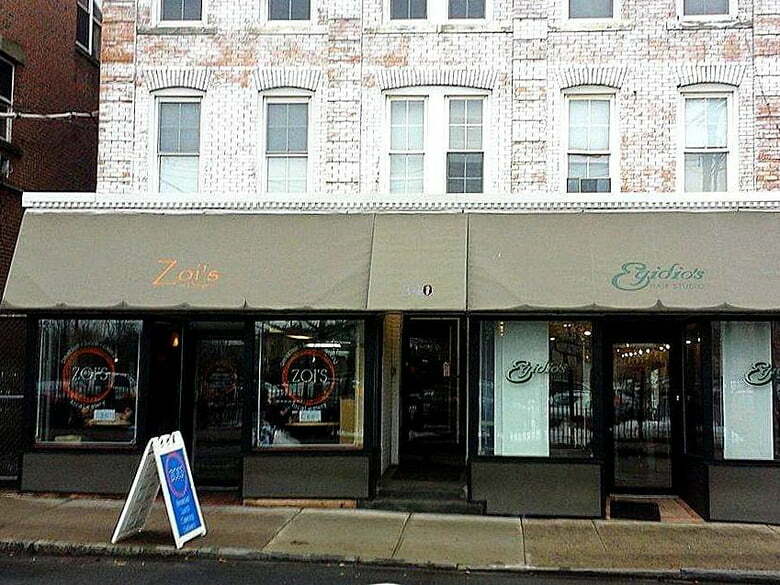 Hours: Monday - Friday, 7 a.m. - 3 p.m. │ Saturday, 7:30 a.m. - 1:30 p.m.
Zoi’s has some of the best sandwiches in town. Come here Monday through Saturday for breakfast or lunch and try out the “Sweet Pete” sandwich with its delicious caramelized onions, the classic “Crispy Chicken” or the flavorful “Eggplant Cutlet.” The menu also includes soups and salads. During the warmer months, you can enjoy the dog-friendly outdoor patio, which is tucked away from the street for a quieter, more relaxing atmosphere. Locations and Schedule: Variable; check here and here for information. 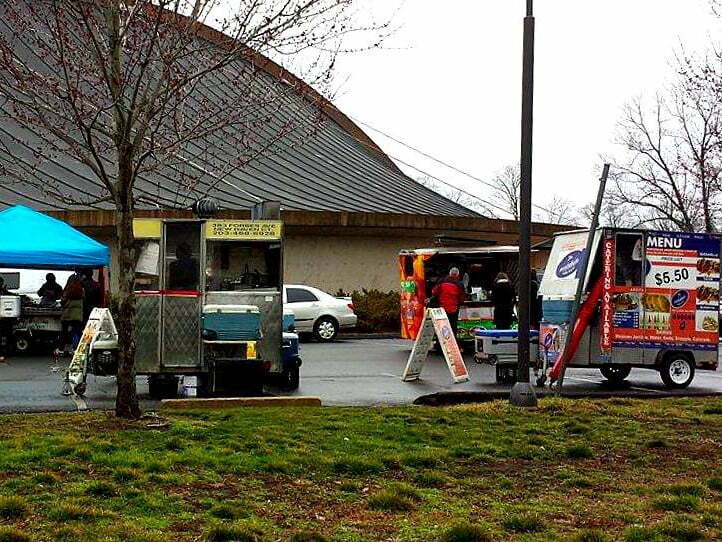 And don’t forget about food trucks! Food trucks are the ideal way to pick up delicious, affordable food and beverages while taking your dog for a walk around town. Hungry for arepas, barbecue, grilled cheese or pad thai? No matter where you are in town or what kind of food you’re craving, there’s probably a food truck nearby that has what you’re looking for. You can find a bunch of trucks parked near the Ingalls hockey rink on Sachem Street, by the School of Medicine and along Long Wharf Drive. Craving coffee? Look for the Jitter Bus, which serves coffee from a repurposed school bus and typically parks near the Grove/Hillhouse intersection.